The scientific content of the proceeding contributions has been refereed by the conference proceedings editors, not by the OEJV editorial board. 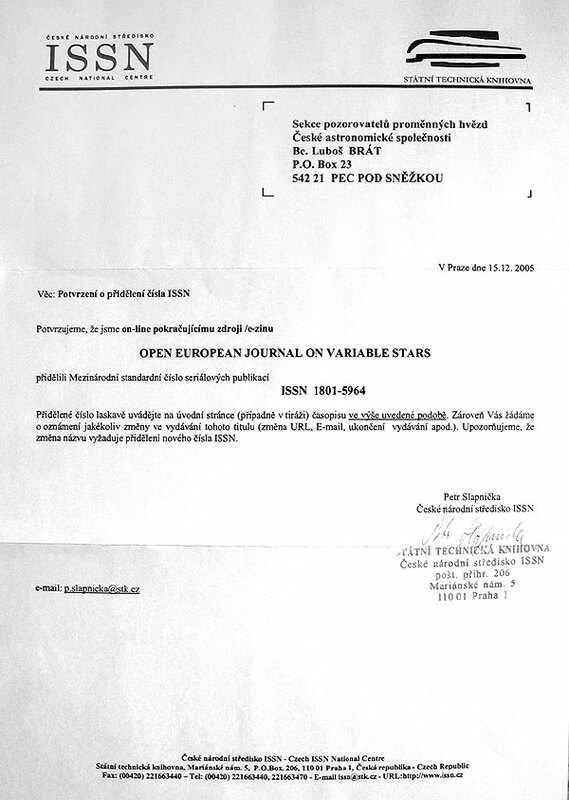 Paper presents observations of eclipsing binaries acquired by the Variable Star Section of Czech Astronomical Society members (B.R.N.O. group). Paper contains 2327 minima timings for 656 eclipsing binaries, obtained by 127 observers during 2000 – 2007 period. Show all "Simbad objects" for all papers. The OEJV is registered as on-line continuous journal: ISSN 1801-5964.